Highlight: Have you ever considered buying a template shareholders agreement online? Perhaps this article will change your mind! There is no “model” shareholders agreement which is appropriate in all circumstances, as shareholders will each have their own unique, and often conflicting, priorities and concerns. As a result, every shareholders agreement needs to be a custom tailored document. In this article I have set out, in summary form, many of the more common issues shareholders should consider before negotiating a shareholders agreement. Directors – How many directors will the company have? Who will they be (e.g. a shareholder or a director nominated by a shareholder)? How can directors be removed? Quorum – What will constitute quorum for the transaction of business at a meeting of the directors? Signing Authority – Who will be authorized to sign agreements and other commitments on behalf of the company? Will such documents need to be signed by more than one signing officer? Equal or Unequal Contributions – Is each shareholder (or principal of a corporate shareholder) required to devote his or her full time and energies to the business of the company? If not, will additional compensation be given to disproportionate contributions among shareholders? Restricted Actions – Will the shareholders be restricted from engaging in a business in competition with the company? Will there be protection of confidential information, trade secrets, intellectual property? Will there be restrictions on solicitation of former clients or employees after a shareholder ceases to be a shareholder? 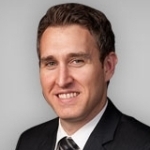 Important Business Decisions – What decisions or corporate actions will require unanimous consent of the shareholders or the directors, or require greater than majority approval of the shareholders and directors (e.g. borrowings in excess of certain amounts, expenditures over a certain dollar amount, issuance of further shares)? Initial Contributions – Will the shareholders be required to make any initial loans or advances to the company? Bank Financing or Shareholder Cash Call – Where the company requires additional funds or working capital, will the company be required to first seek financing from a bank or can it make a cash call to the shareholders? On what terms will the company borrow from the shareholders and whether such contributions will be pro-rata? How will disproportionate loans be treated where one shareholder is able to contribute more than another shareholder (e.g. preferred interest rate, equity dilution over time)? When will such loans be repaid and are there restrictions on demanding repayment? Right of First Refusal – Will a selling shareholder be first required to offer its shares to the other shareholders of the company? Are there any exceptions to this (e.g. transfer of shares to an affiliate)? Will this shareholder be required to offer all of its shares or can it be a partial offering? Majority Drag Along rights – Will majority shareholders have the option to force the other shareholders to sell their shares if the majority shareholders procure a buyer who is willing to buy all of the shares in the company? This provision prevents the minority shareholder(s) from blocking the sale of the entire company, as opposed to a majority interest. Minority Tag Along Rights – Will minority shareholders be able to force a buyer of the majority shareholders’ shares to also buy their shares? This provision gives the minority shareholder(s) the ability to choose whether they wish to be co-shareholders with the new majority shareholder. Compulsory Buy-Out (Shot-Gun Clause) – Will there be a “shot-gun clause” whereby one shareholder alone or in concert with other shareholders make a compulsory offer to one or more other shareholders to either sell all of their shares or buy the shares of the offering shareholder(s)? Death – Where a shareholder (or the principal of a corporate shareholder) dies, consider whether his or her shares will be subject to an automatic buy-out or should the other shareholders simply have an option to buy? Should the company maintain life insurance on each of the shareholders in order to fund this buy-out? If not funded by life insurance, how will the shares be valued and what terms and conditions of payment will apply? Default – Consider what will be considered a default under the shareholders agreement (e.g. bankruptcy, insolvency, incapacity, marital breakdown, breach of the agreement, retirement, change of control of corporate shareholder) and what happens in the event that a shareholder is in default (e.g. forced buy-out)? How will the defaulting shareholder’s shares be valued on default – will they be subject to a discount? How will the shares be valued in any of the above mentioned circumstances (e.g. set periodically by the shareholders, by agreement at time of transfer, by using the services of a business broker, a certified business valuator, or a chartered accountant)? How will profits be distributed among shareholders? Will the company pay salaries? If dividends, will these be paid in accordance with a pre-determined formula or fixed? Will shareholders loans take priority over other distributions? As is evident from above there are many considerations that go into the negotiation and drafting of a shareholders agreements. 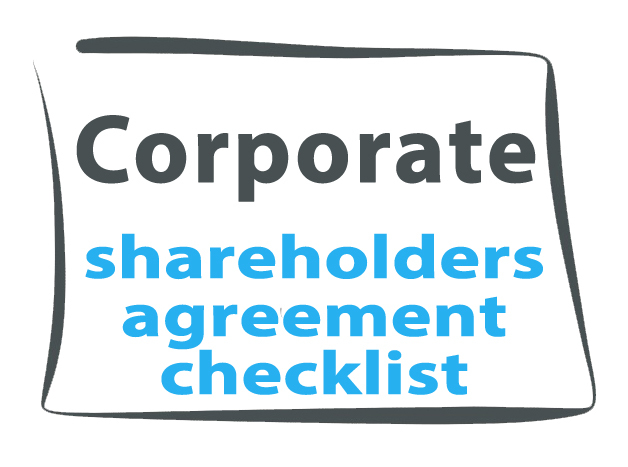 Most shareholder disputes can be resolved or avoided entirely with a good quality shareholders agreement – but a poorly drafted shareholders agreement can cause confusion and unintended results of disputes and have the opposite effect. There is no quick and easy solution but I urge shareholders to seek the services of an experienced corporate lawyer to assist with the preparation of a shareholders agreement.